It's Elvis Week & things in Memphis seem to go a tad crazy. It only seems appropriate to take a quick peek back in time to July 1980 when Elvis bought a brand new, powder-blue, 16' speedboat and took it out on the Memphis riverfront down at McKellar Lake. 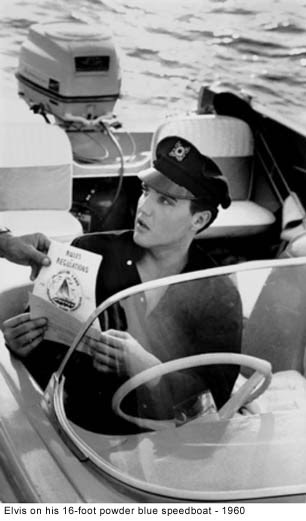 The Memphis Press Scimitar reported the story of Elvis's 1st, and it sounds like only, time behind the wheel. Click HERE for the story and more photos.